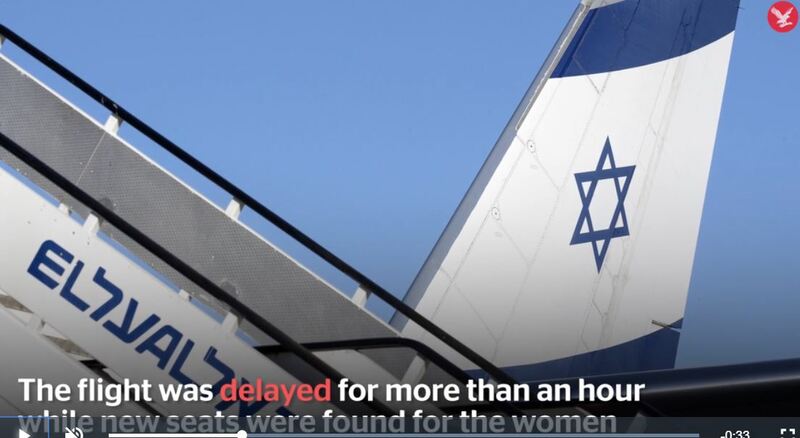 One passenger claimed the El Al flight from New York to Tel Aviv was delayed for more than an hour while new seats were allocated to the pair – although the airline later issued a statement saying it had taken staff only a few moments to find the passengers new seats, and the delay in the flight’s departure was completely unconnected to the incident. A whole article on the accusation made by one passenger. Way to go, Indy. That’s what journalism is for.